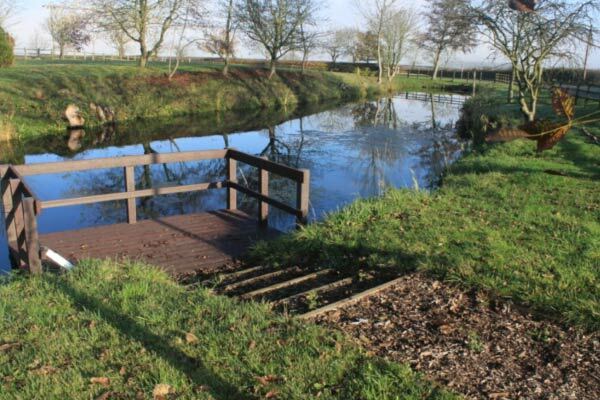 The Newt Trail is a circular walk of approximately two miles, on the walk you will see at least eight ponds, of varying size and depth, please be very careful when viewing the ponds, and under no circumstances should you enter the water. 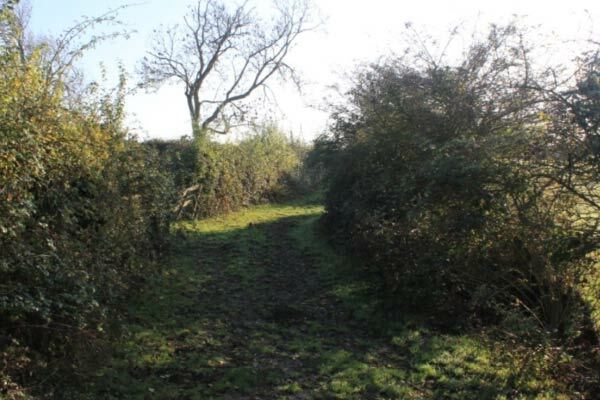 Some of the trail is on tarmac paths or roads, some parts are public footpaths that cross grass fields, please take extra care if here are horses or other livestock in the fields. An alternative route is available if you prefer not to cross the fields that may at times be very muddy or you do not like horses. If you have arrived by car, please park either at the village hall, or on the small parking area at the front of the recreation field. 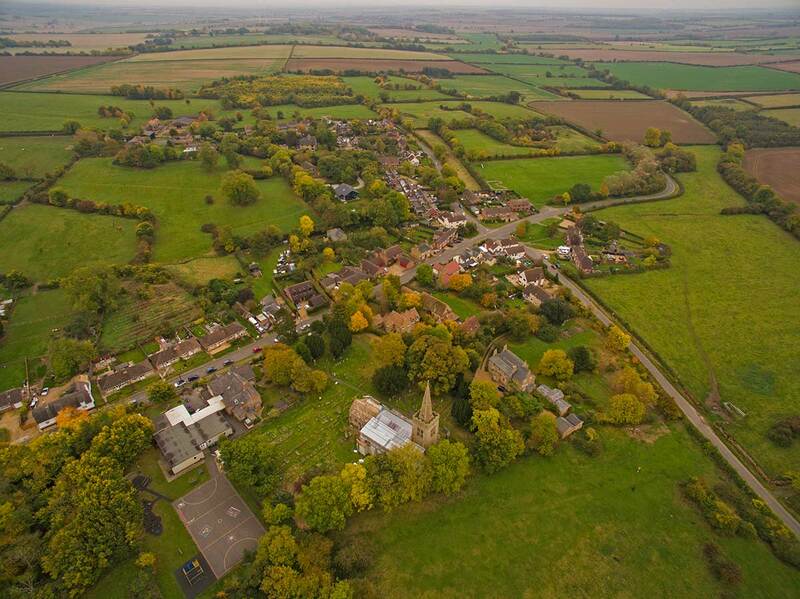 1 The walk starts at the crossroads at the bottom of the village next to the shop, for those who are happy to cross fields, walk down Luddington road until you see the public footpath sign on your right, which takes you into the field behind the Church. Keep to the right hand side and enter the churchyard via the kissing gate. 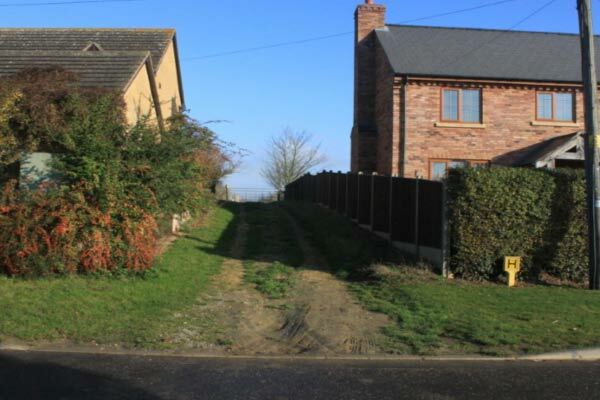 Rear of St Michael’s Church, the dip in the middle which looks like a dry river bed, is actually the site of an ancient road. 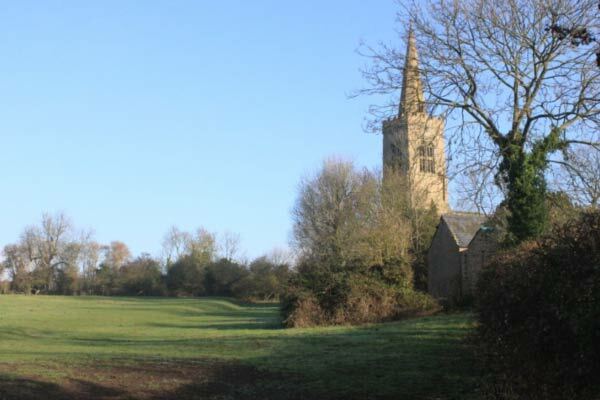 Footpath to the rear of St Michael’s Church, the path crosses the field in the foreground at the bottom right of the photograph. 2 St Michaels Church is normally unlocked during the day, so please take a while to look around. For those who prefer not to walk across fields, from the shop walk up main street to the Church. 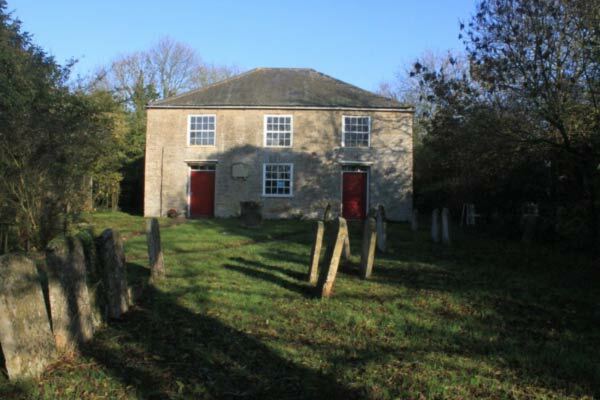 After you have enjoyed the delights of St Michaels, leave the churchyard via the entrance on Main Street, passing the Primary School on your left. View up Main Street when leaving the Church, the School building is on the left. 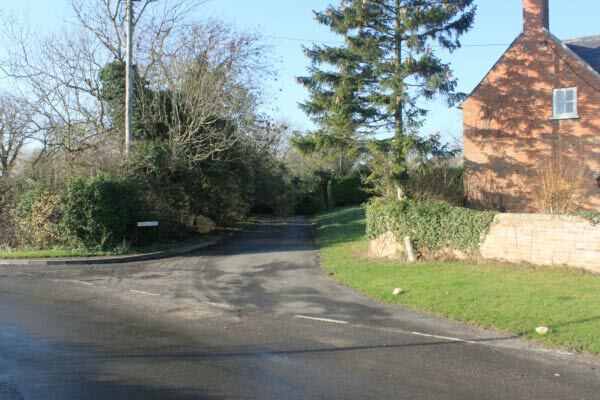 3 Continue past the Village Hall on your right. 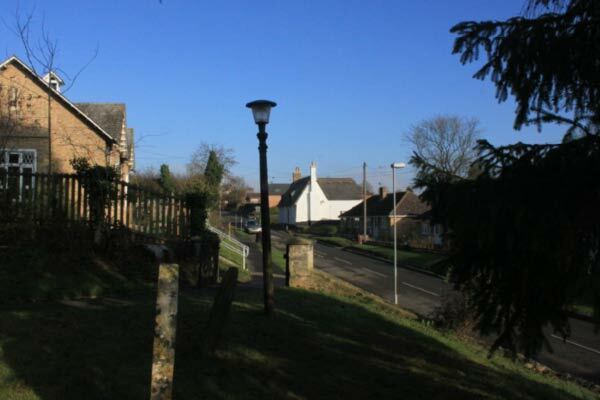 4 Continue up the hill, past the Fox and Hounds pub, until you reach Manor Farm when the footpath stops. 5 Continue with care for a further 150 meters until you reach Townsend Pond. 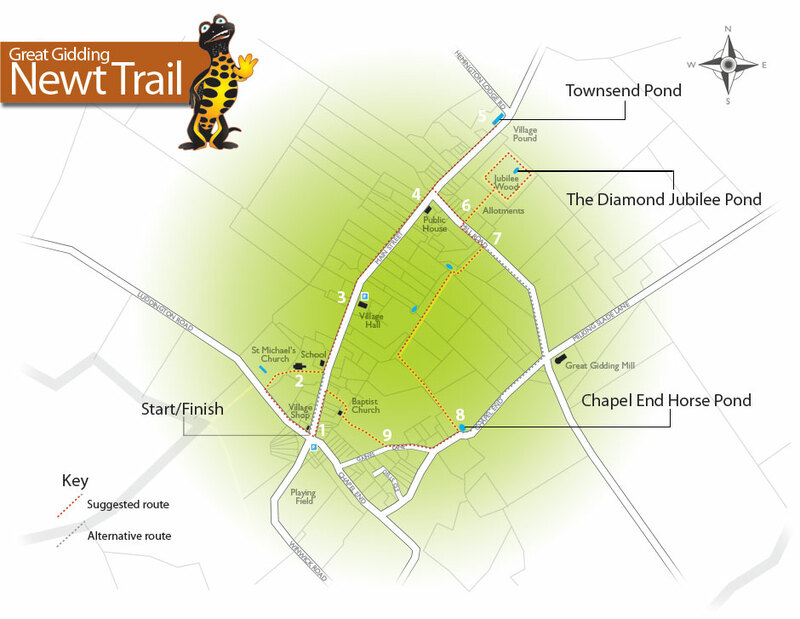 After a spot of pond dipping, retrace your footsteps and turn right into Mill Lane, next to the pub. 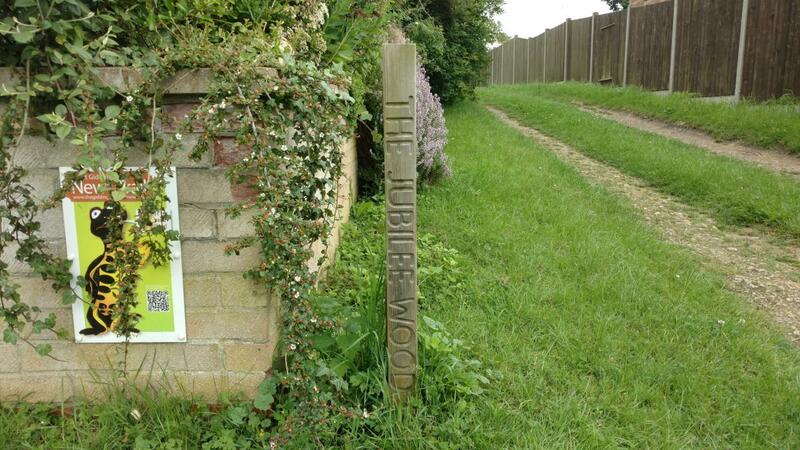 Once in the Jubilee Wood please feel free to pick any fruit or berries that are in season, and are edible! The Parish Council takes no responsibility for any outcome of eating produce from the wood or anywhere else. 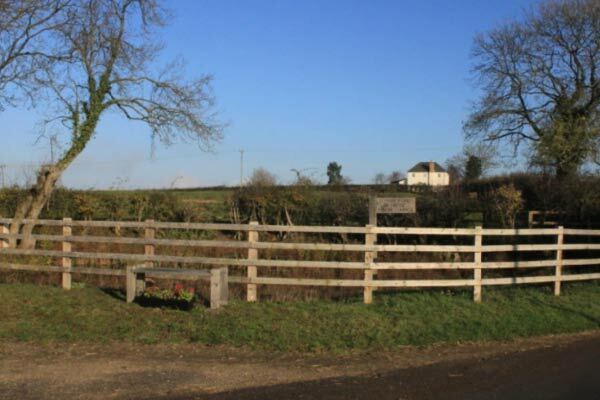 Seats are provided so you can enjoy the peace and quiet, why not have a picnic and be sure to look out for Red Kites that are often around. 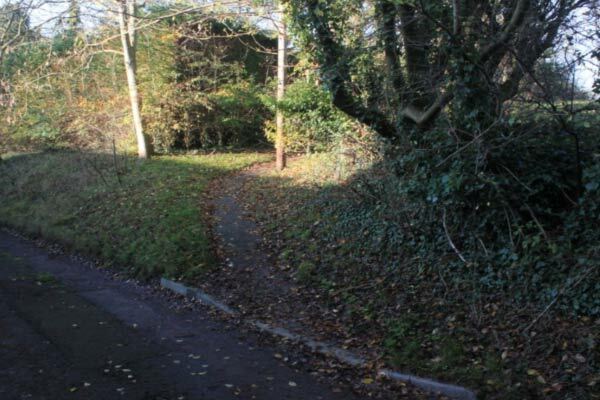 7 After leaving the wood, turn left and continue for about 50 meters along Mill Road, the public footpath is on the right hand side, go through the large gate and then on your left hand side there is a hand gate, please make sure all gates are securely closed behind you. Keep to the right hand side of these fields. 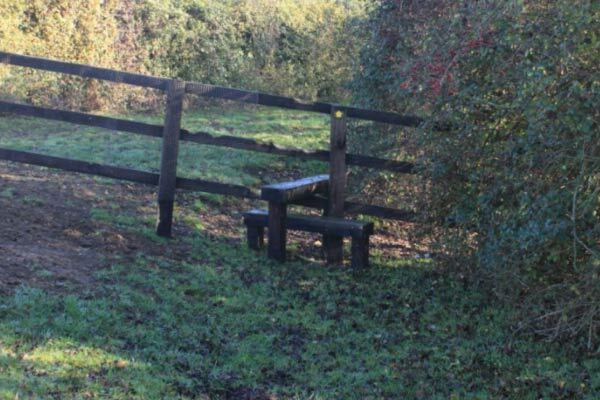 You can usually see the next gate, apart from the last one, which is on your left hand side in the corner of the field, go through the gate and walk diagonally across it, you will find a stile in the opposite corner. 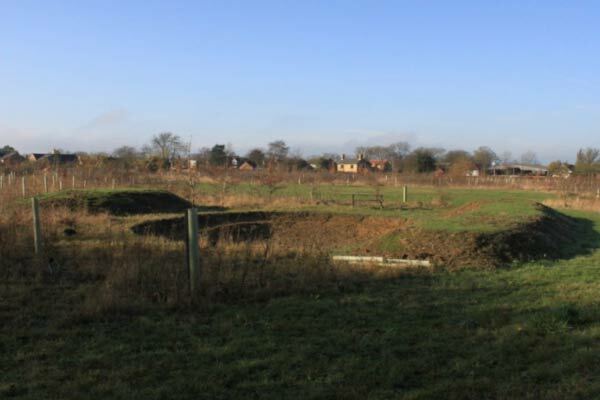 8 From the stile follow the track and keep the hedge on your right, and you will come out at Chapel End Horse Pond. 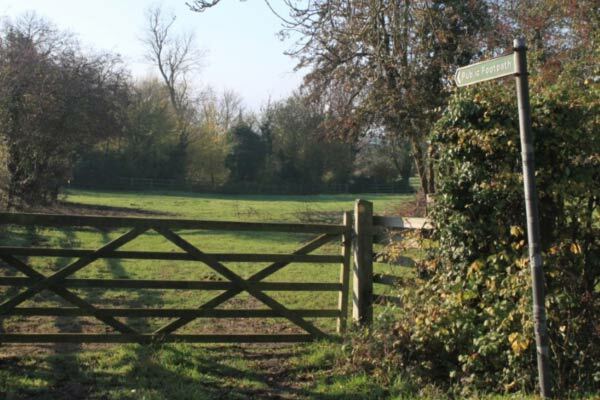 For those who prefer not to walk across fields, continue down Mill Land until you reach the crossroads, then turn right into Chapel End, continue until you meet up with the trail at the Horse Pond. 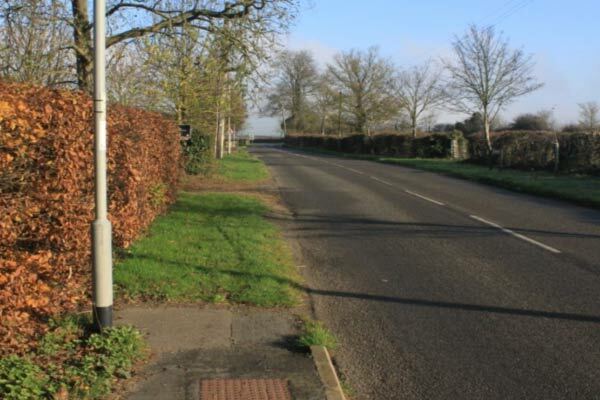 9 From the pond turn right and then turn right again into Gains Lane, approximately half way down Gains Lane, turn right onto the footpath. When you reach Main Street, turn left and you are just a short distance from the start. Download a printable map (PDF 2.2MB) to take along with you. 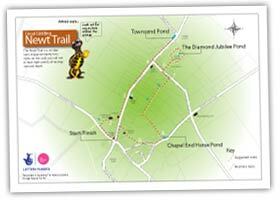 On your walk you might catch a glimpse of one of these! The Great Crested newt, growing to about 16 centimetres long, is the largest of Britain’s three native newts. Dark in colour, often black, and patterned with small white spots they have orange or yellow bellies with black blotches – a warning to would-be predators that they are poisonous to eat! These underside markings are unique to each newt which makes tracking individuals a little easier. During the breeding season males develop a high, wavy crest along their backs and another along their tails. 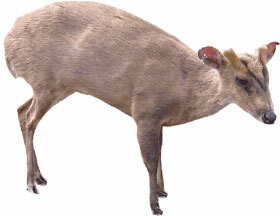 The common names for the small Muntjac deers we sometimes see are Barking deer, Chinese muntjac or Reeves’ muntjac. Native to south-east China and Taiwan, they were introduced to parks in the UK in the early 20th century and escapees have established wild populations. 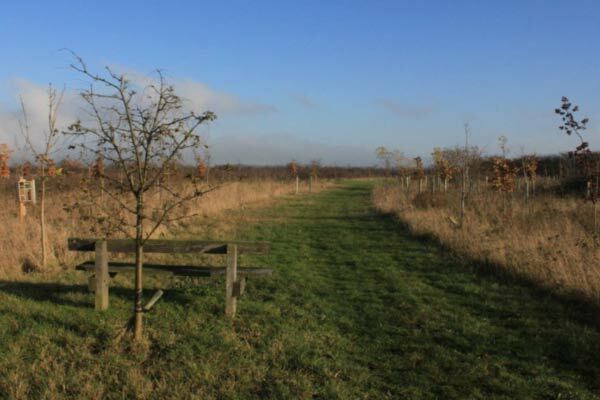 Woodlands are their preferred habitat, but they are often seen in gardens and even walking down Main Street, Great Gidding! With a whopping wingspan of nearly two metres and a small body weight of 2kg the red kite can stay in the air for many hours with hardly a beat of its wings. It is usually silent while hunting but can be noisy when fighting for scraps of food with carrion crows and other kites. 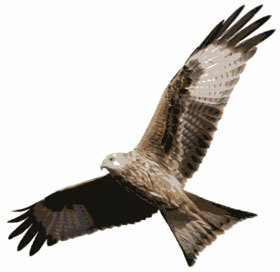 After it was hunted almost to extinction, a decision was taken in 1989 to reintroduce kites to various parts of the UK. Look out for their beautiful forked V-shaped tails as they hover overhead. There are a total of 59 species of butterfly which breed in Britain and there are plenty to be seen as you walk around the Giddings on a warm day. 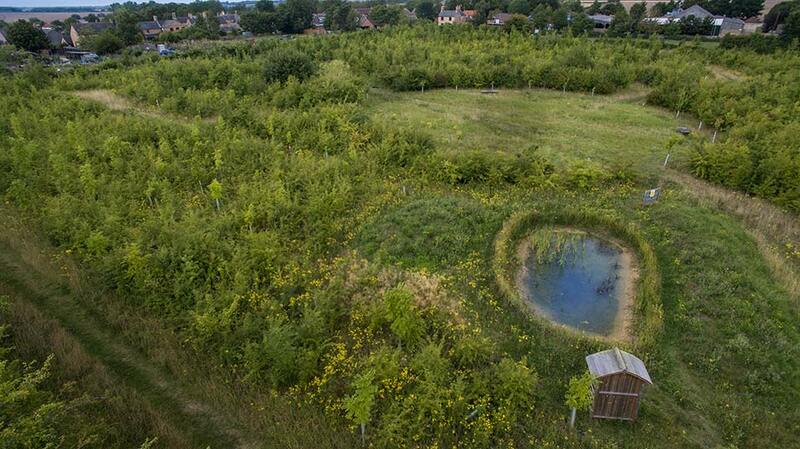 Perhaps you’ll spot a Red Admiral, a Painted Lady or a Small White as you wander around the Jubilee wood. 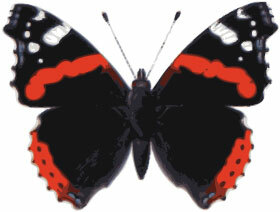 Although some butterflies can be seen year round, they need warm, dry weather to feed and breed. If it’s too wet, the baby caterpillars don’t have the right food to eat and won’t thrive and turn into beautiful butterflies. See how many varieties you can spot on your walk.